The duck-billed platypus is a mammal that lays eggs. 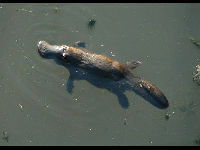 Platypus live in eastern Australia and Tasmania. Male Platypus are larger than females and can get to a little over 5 pounds in weight. The Platypus has legs on the side of the body instead of underneath, which makes it walk more like a reptile than a mammal. 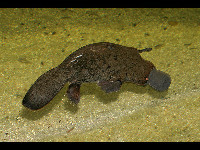 Male Platypus have ankle spurs which produce venom which is strong enough to kill small animals. Platypus are considered nocturnal animals but are sometimes active during the day, especially if it is a cloudy day. The Platypus is an excellent swimmer. 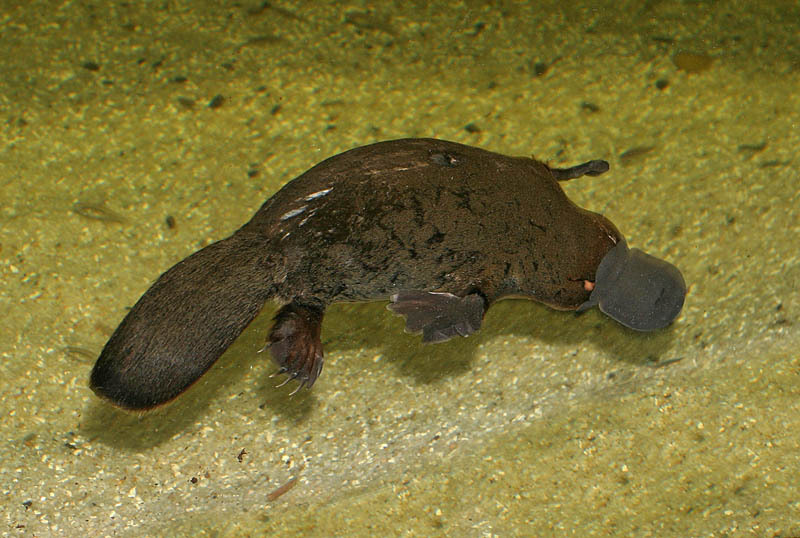 Platypus are considered living fossils. Platypus have webbed feet like many water dwelling birds do. Platypus have claws like many other mammals similar in size. The Platypus growls like a dog when disturbed.